“Love makes people strong”… reads the billboard outside an apartment building in Tokyo where two lives are about to become entwined. This is the story of a timid basketball player and a strong-willed violinist reaching for their dreams,and, although not knowing it at the beginning of the story, doing it together. Naoki Kamiya (Tomohisa Yamashita) had an impressive basketball career in his college days, yet, since turning pro, his inability to deal with pressure has been keeping him from playing up to his full potential. On the other hand, Riko Shirakawa (Keiko Kitagawa) is a freshly graduated violinist who has been unable to get the opportunity to turn professional. Early in the drama, Noaki leaves his cell phone on a bus he is riding with his friend Shuji Hatano (Mizobata Junpei); they just happen to be riding with Riko and her roomate Mai Ebina (Shihori Kanjiya). He runs after the bus and barely manages to let the two girls know through the window that he left his cell phone on it; they retrieve it. Shortly thereafter, the phone rings, Riko answers and the coach of the pro basketball team Naoki plays for, Tomoya Kawasaki (Hideaki Ito) is on the other end. A redevouz is arranged that evening so the phone can be returned to the coach who in turn will return it to Naoki. Although they don't know it at the time, this begins Naoki and Riko's endearing relationship. Days after the phone has been returned to him, the story really begins in earnest as Naoki encounters Riko playing her violin in a park behind her house. He claps for her as she concludes and says he will be her "first fan." Although neither remembers the bus ride together, Riko then asks to watch Naoki play baketball and she hears and "feels" the ta-tap, ta-tap of the basketball as he dribbles and shoots it. She then cheers Naoki up by telling him that she will be his "first fan." The both begin to see what we, the viewers, have already started to figure out--that she's his soul mate and in return, he is hers. In the meantime however, Naoki already has a girlfriend, team lead cheerleader, Natsuki Nanami (Saki Aibu) who is also a front office person for his team, the JC Arcs. And it doesn't help that the person Riko returns Naoki's lost cell phone to, the coach of the JC Arcs, only develops eyes for her. It will take a couple of years, several realizations and many trials and tribulations before both realize the effect one has on the other and that ultimately, their dreams only truly happen when they are together. navipatel91 Nov 02 2016 7:47 am A decent drama that I would avoid due to the characters making me so angry. Our main character , Naoki, is the most passive person in the world who forgives far too easily and suffers due to his own decisions. His girlfriend ,Natsuki, cheats on him, sleeps with a teammate and lies to him but he is still nice to her despite her constant efforts to sabotage his new relationship with Riko. Natsuki bogged down the story far too much with her underhanded actions and efforts to get back with Naoki, despite still being a terrible person. Due to this Noaki constantly hurts Riko and causes tension in his new relationship, which it clearly being better than his last one. The final episode seemed to be a rush job due to the subplots overtaking the development of the relationship between Naoki and Riko. Honestly wish I saw more of their relationship develop rather than the ex backstabbing and scheming. Natsuki should have been a small side story that wrapped up in an episode or two rather than underline the entire series. By stretching it out the audience only grows to dislike her character more and wonder what in the world is wrong with the Naoki. The story’s themes about following your dreams are conflicted due the relationships lack of development and the over emphasis on a side story. Would only recommend to someone who does not mind having a main character that infuriates them. For me this is a pass as there are a lot better series out there that handle these themes while giving our characters proper development and allows them to evolve and grow as the story progresses. kenny Aug 25 2015 12:46 pm A friend suggested me to watch this drama. I guess i enjoyed it. When i say yampi was in it i totaly felt enjoyed it more. Keiko kitagawa became one of my favorites after this drama. Loved how naoki still came to Riko's concert if he was hurt. That ending was sweet. Yampi and Keiko are great together. 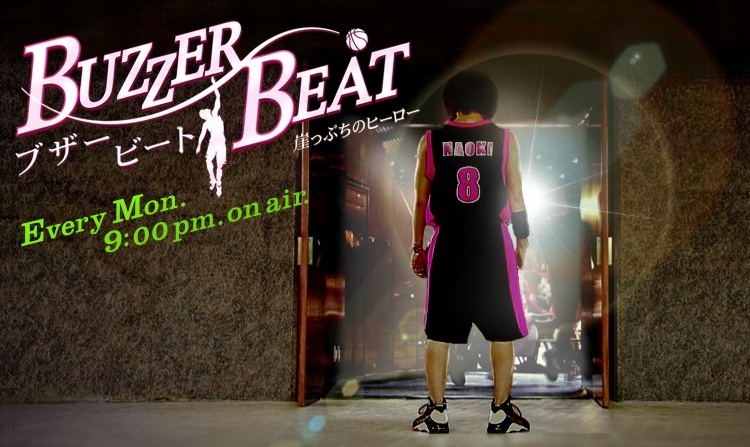 jonathan macam Mar 04 2012 6:17 pm i hope buzzer beat will air in the PH. Ann Dec 26 2011 5:04 pm LOVE THIS DRAMA!!! YAMAPI AND KEIKO 4EVR!!!! Scott J. Jun 30 2011 5:03 pm I may be an older white male living here in the U.S. but this "too short" drama really moved me. It was only my second Asian show (the first was PGSM) but I was sucked in from the beginning to the wonderful character development and fine acting performances by the leads. Yes, there was some cheesiness in some of the scenes and the ending did happen a little too quikly for my taste, but absolutely one of my favorite shows ever. We need a season 2! Dumayaca, Archie Mar 07 2011 4:40 am Tnx for the great drama, by watching this drama you move me and touch my heart..Honestly, you give me strength to my dreams, to face the reality and to show to all lovers that "long distance relationship" is not a problem, trust is the key. So remember all, Love makes us strong!!! Im really hoping that theres a Season 2 of this great drama. merutaka Jan 26 2011 5:44 am the best drama i've ever known. i love it! kalin_rain Dec 10 2010 9:22 pm this drama so adorable...very enjoy to watch it. TomoxMe May 27 2010 7:27 am This was an amazing drama! I watched like three times in a row! A Sep 23 2009 3:14 am I love Keiko and Yamapi but had no idea they teamed up for this drama! yay!! just waiting for epi 11 to come out online :P I wish this drama was a bit longer cuz Natsuki and her scheme of tearing them apart was interesting~ but I just noticed an average Jap drama is around 11 episodes ...oh well~ love BB! Mitzmin Sep 22 2009 4:07 pm I only think they got together too early. Because of that, the end didn't have much of a story, they were just filling it up. I hope they make a special, with a good plot. mitzmin Aug 22 2009 11:52 am M. I like it very much. t'is really good. Yamashita and Keiko kind of match, but besides that, I loved Keiko's participation, cose she's is different from typical Japanese girls, she isn't the cute "Mery sue", if you know what I mean. I deeply recommend. Lenya Aug 11 2009 9:47 am It´s really good. Episode 5 is the best one until now. Love Pi. I think you should watch it and hope you like it. I may be an older white male living here in the U.S. but this "too short" drama really moved me. I was sucked in from the beginning to the wonderful character development and fine acting performances by the leads. Yes, there was some cheesiness in some of the scenes and the ending did happen a little too quikly for my taste, but absolutely one of my favorite shows ever. We need a season 2!